​Leicester City will reportedly send club officials to Italy in order to discuss the potential signing of Uruguayan international midfielder Nahitan Nández from Boca Juniors, after talks concerning the 23-year-old's proposed move to Cagliari broke down. 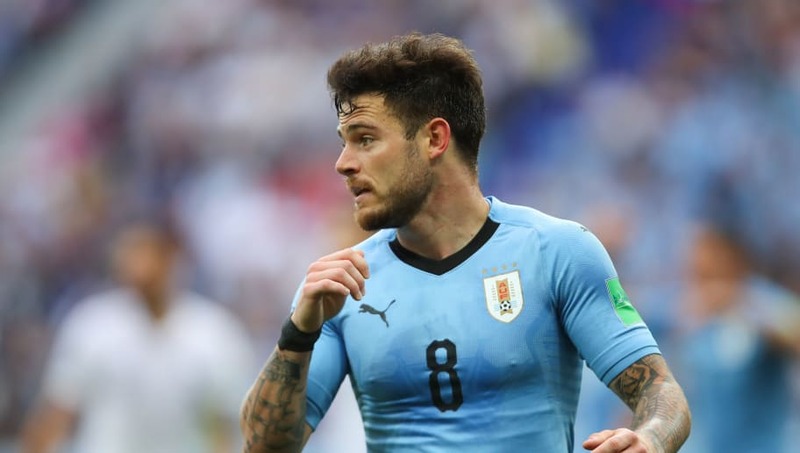 It is alleged that Nández was heading to the Serie A outfit as a replacement for Nicolò Barella, who is believed to be bound for Inter, but reports from Argentina suggest that the deal for the Uruguayan has collapsed, paving the way for Leicester City to seize the opportunity to sign the former Peñarol man. According to ​Marca (via ​Sportwitness), the midfielder's representatives were in Italy to negotiate a deal for Nández to join the Sardinians, however, discussions for the Uruguayan fell through, allowing the Premier League side the opportunity to begin talks for the talented central midfielder. The report claims that the ​Foxes have been monitoring the situation of the midfielder and have asked to meet with Nández's representatives over a possible bid for the player. The alleged discussions are set to take place in Italy, where Nández's team are currently staying, following the breakdown of the proposed move to the Rossoblu. Marca has also reported that the Argentine side have recently made two signings in a bid to fill the void vacated by the outgoing midfielder, which has given Leicester a boost over the potential acquisition of Nández. Nández won two Uruguayan league titles in a three-and-a-half-year spell with Peñarol before joining the Xeneizes in August 2017. He has featured 41 times for Boca Juniors and helped the side win the Argentine Primera División last season. Additionally, he helped Boca finish as runners-up in the 2018 Copa Libertadores Final against rivals River Plate. The midfielder also has 20 senior international appearances for La Celeste and was part of the side that reached the round of 16 in the World Cup in the summer.